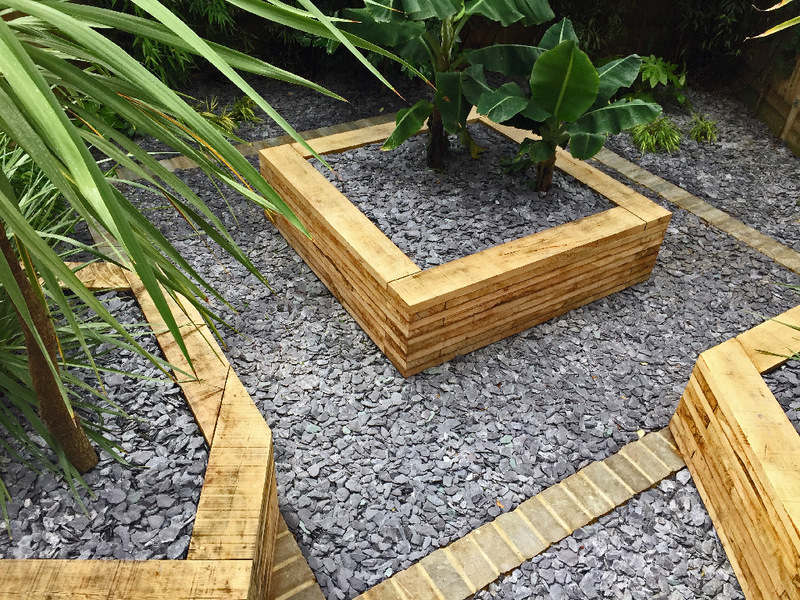 Our landscape garden designs have one thing in common – at the core there is an underlying clarity of vision. This is because we believe in listening to our customers intently. 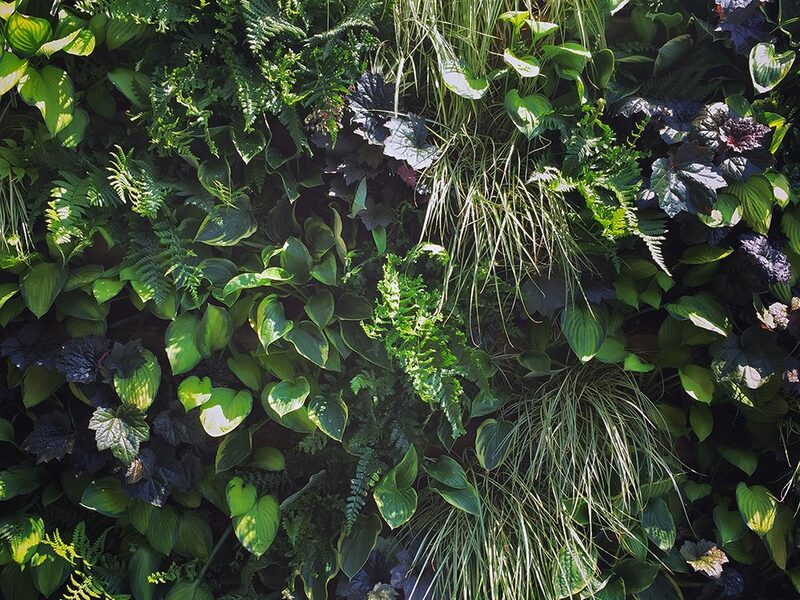 Some folks come to us with a clear picture of their dream garden in mind, but not everyone has a preconceived vision of what they want or what is even possible in their outside space. Through a combination of listening, intuition, and our instinct for design we are able to formulate plans which enhance both the space and our clients’ relationship with it. If you’re someone who can lend a few neurons to anything that anyone can think of, then don’t hesitate to jot down your initial ideas on the back of an envelope and share it with us. However, if coming up with a plan from scratch is stumping you, don’t worry! The most important thing to start with is a feeling about the space and how you’d really like to use it. If we can establish these basics, a plan will begin to coalesce around the fundamentals and a design will naturally fall into place. 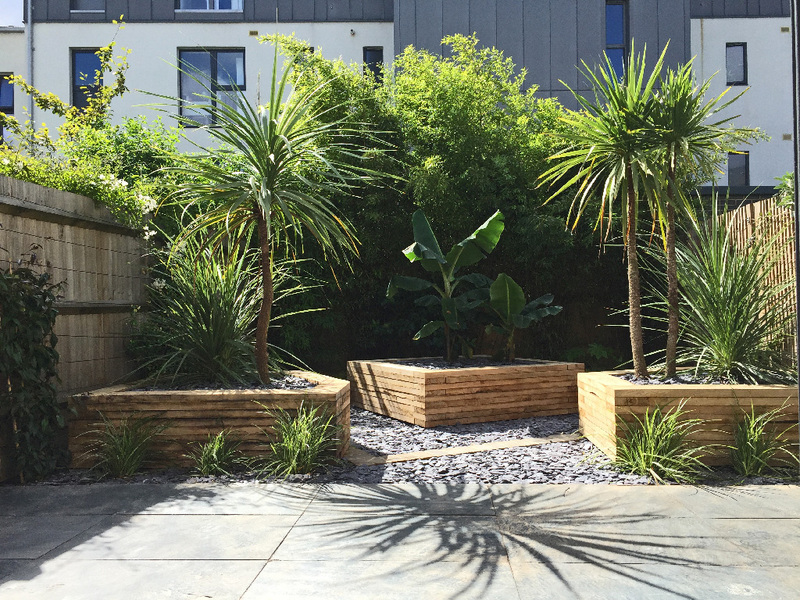 This garden is attached to a tasteful new build development. 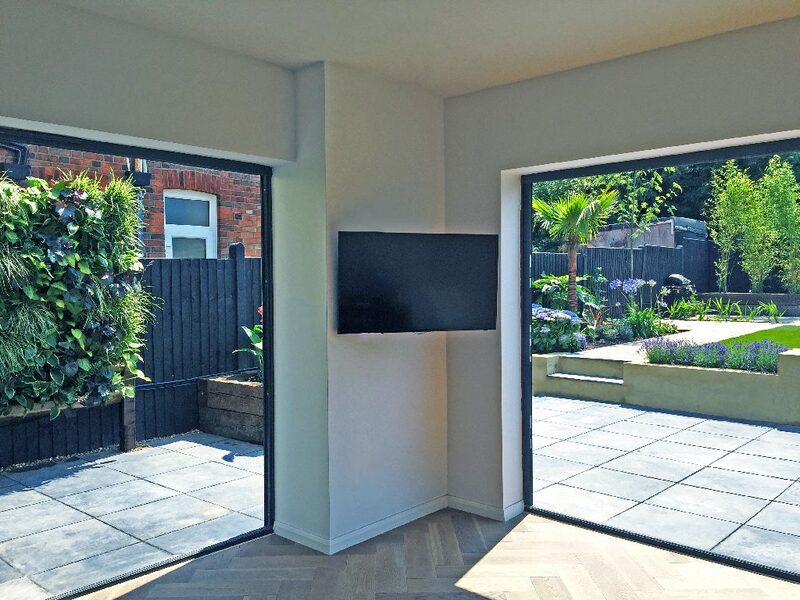 Having spent some quality time with the clients divining their hopes and dreams for the space, along with a few creative parameters such as their preference for low maintenance and high visual impact we began to gather a picture of what was needed. 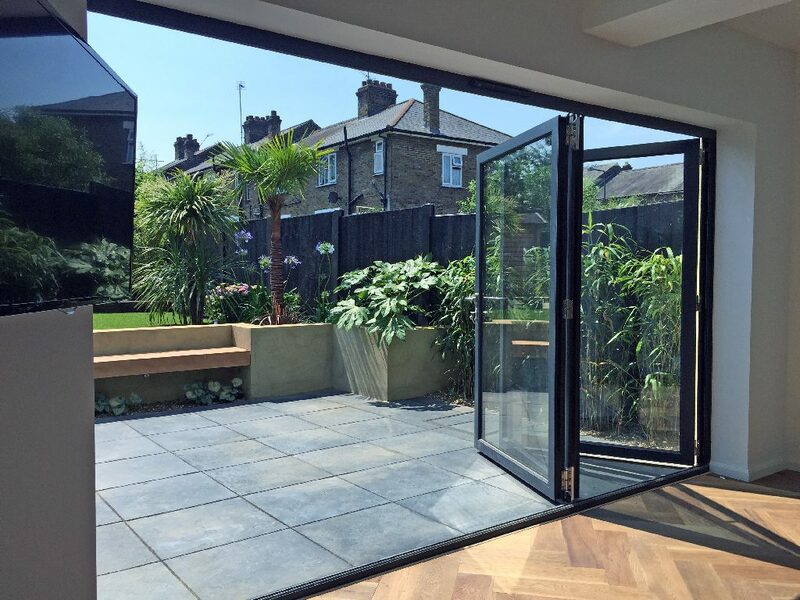 The view from inside the house through the large walk out windows into the garden was very important to our client. 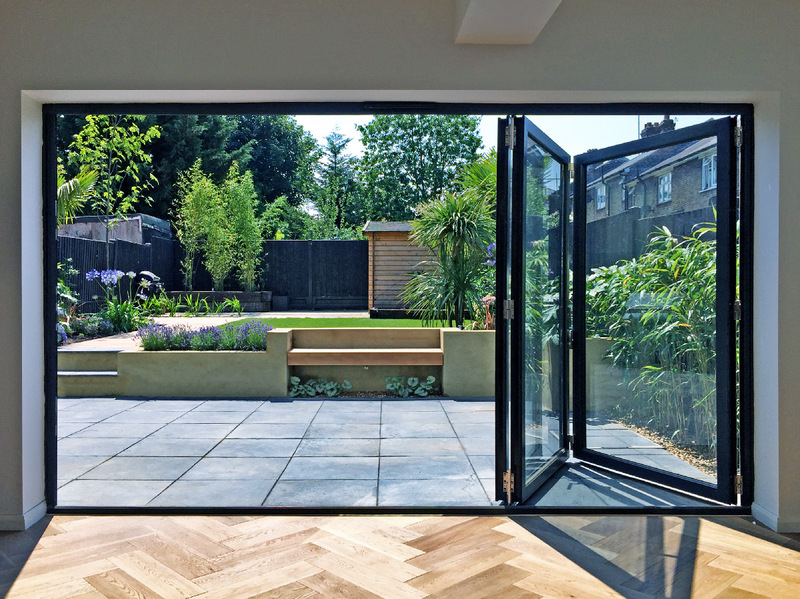 The design is as much about the view from inside the house as it is about being in the garden itself. 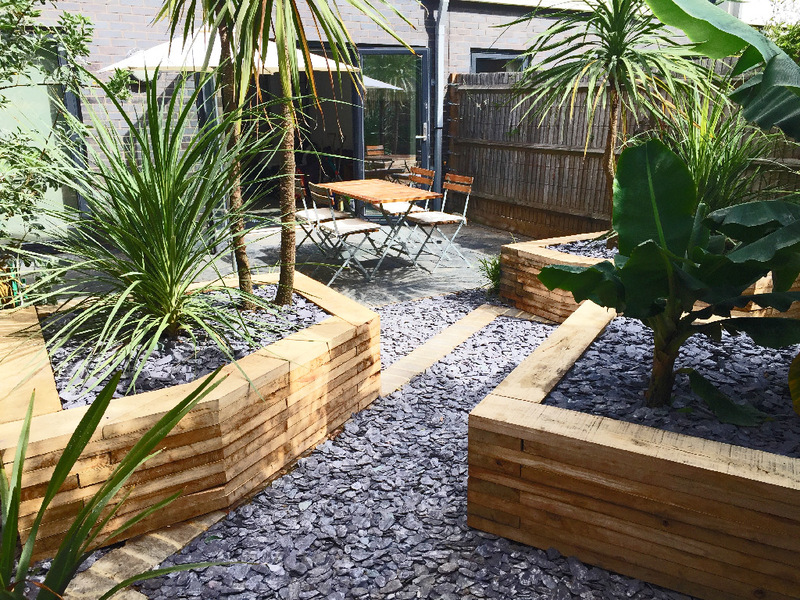 The first part of the garden is given to flat functional space for tables, chairs and barbecues. 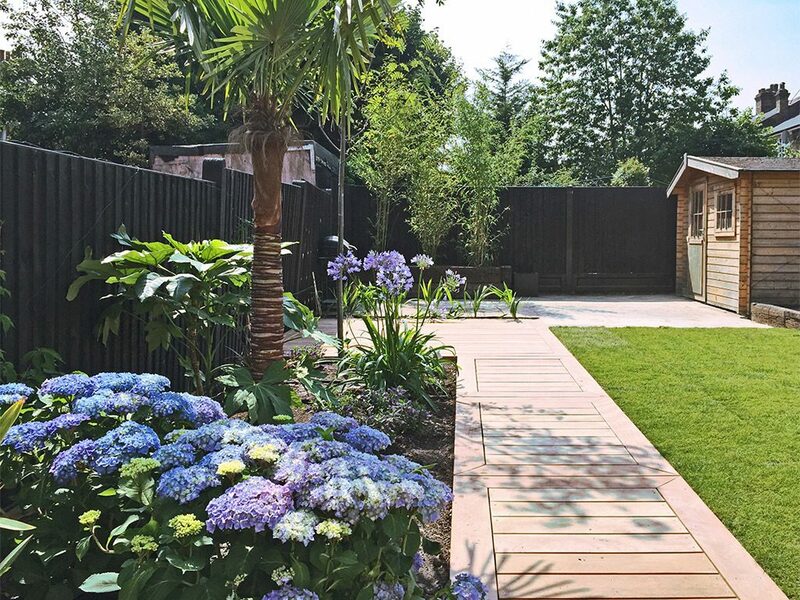 The latter half was previously an unsuccessful lawn which was in need of a rethink. 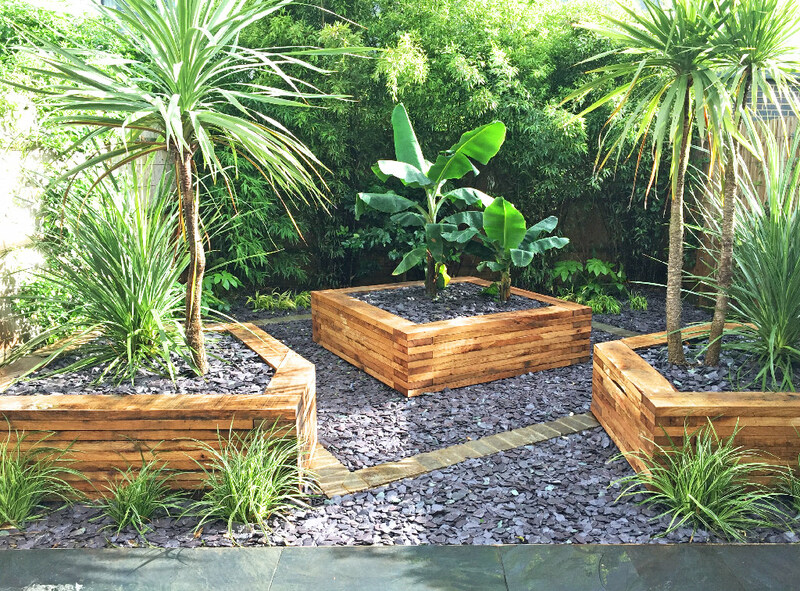 We thought a dramatic backdrop of exotic plants built into some striking geometric oak planters would provide the visual grip the client was looking for. 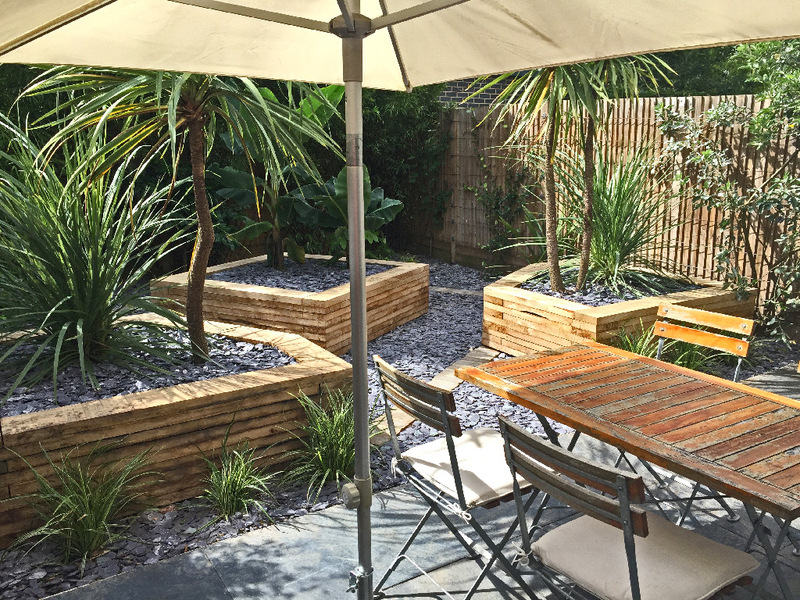 By making the oak planters from large sections and to the appropriate height we were able to combine their form with the function of overspill seating for parties etc. This was a neat way of making a predominantly visual space into an invitingly usable one at the same time.